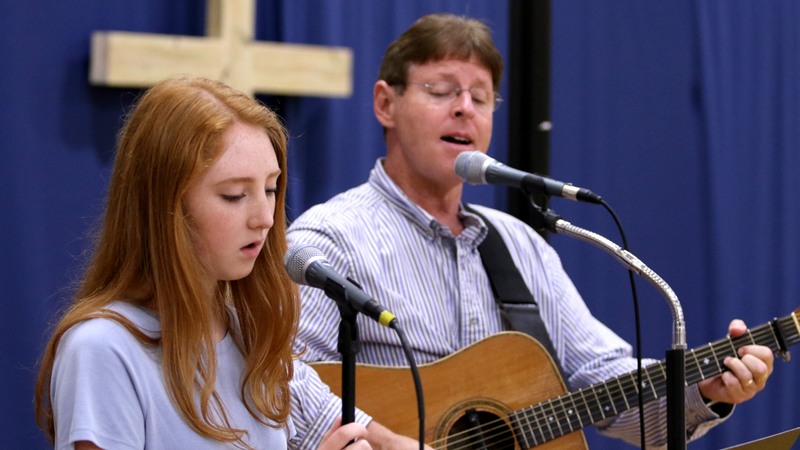 Our Praise Band consists of multiple singers, electric and acoustic guitars, bass guitar, keyboards, and drums which performs each Sunday at Hibben’s non-traditional service which is known as The Well. The service starts at 10:30 a.m. and is held in our Christian Life and Learning Center (CLLC). It also performs periodically at our Combined Worship service held in the Hibben sanctuary.